ItemH-02846 - Inverness Claim, Walker Gulch, Richfield, Cariboo. 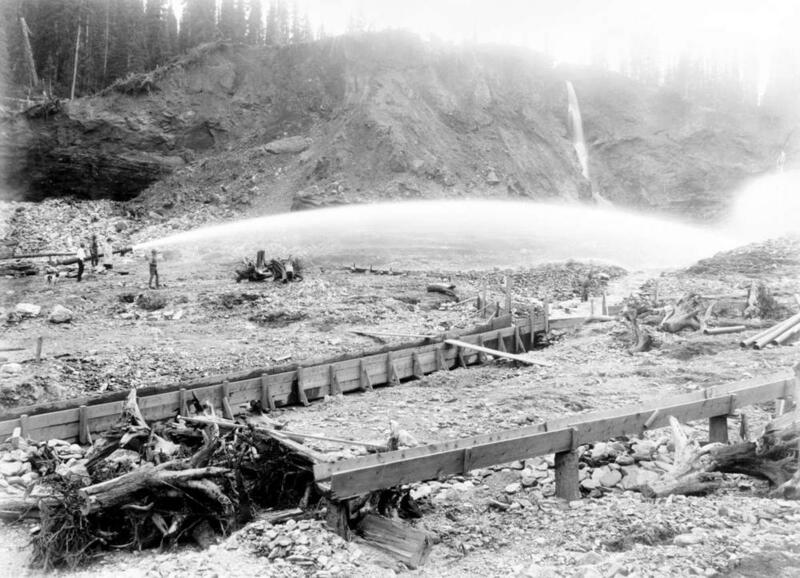 ItemH-02853 - The Black Jack And Eye Opener Mines, William's Creek. ItemH-02862 - "China" On Wolf Creek, Cariboo. ItemH-02867 - View Of Victoria Taken From Gonzales Hill. ItemH-03434 - The Woodruff stage, Sooke. ItemH-03460 - The Empress Hotel's rock garden and lily pond; at the corner of Government and Humboldt Streets, Victoria. Item H-02862 - "China" On Wolf Creek, Cariboo.